Good communication requires that we see and know the receiving partner of our communication. 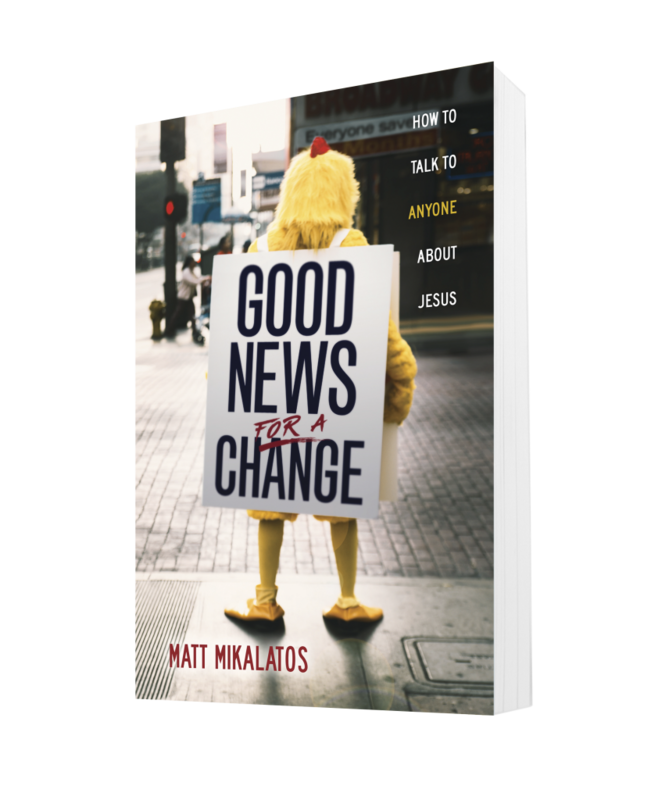 Scripture is jammed full of stories where Jesus (or his followers) share good news in a way specifically tailored to the person receiving the good news. Have you heard of “Bronies”? 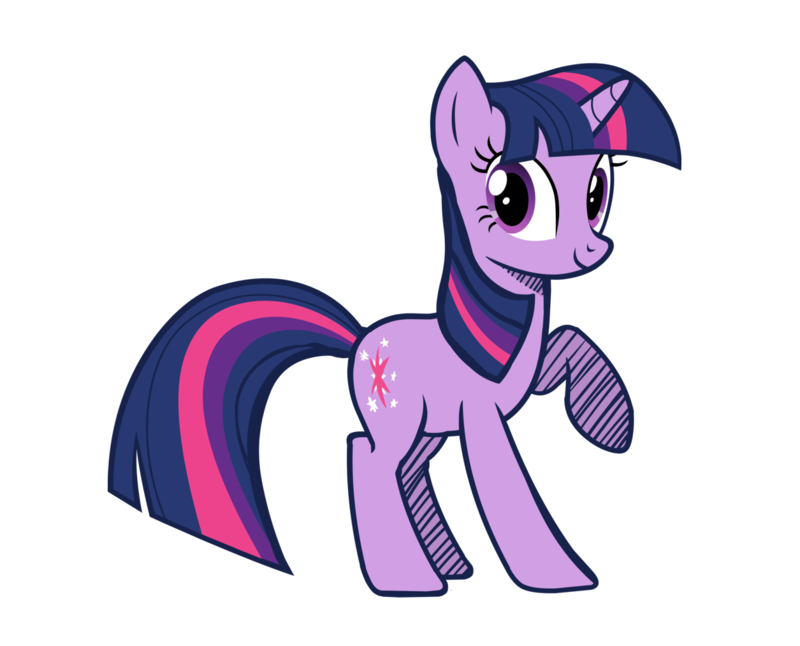 The Brony movement started when adult males realized they loved the children’s cartoon My Little Pony. The cartoon is a sweet, fun show about multicolored ponies (and unicorns! and winged ponies! and “alicorns”!) who live in a magic land and have adventures revolving around questions of friendship and kindness. It’s designed to sell toys, and many kids—regardless of gender—love it. The “Bronies” are adult men who enjoy the cartoon. Maybe some are fathers who started watching it with their kids, or college students whose only break in the afternoon came at the same time the show did. Regardless, these men loved the cartoon and eventually found one another online and started a community. I’ve met some Bronies, and most of them legitimately just enjoy the cartoon, like talking about it, and find the community to be inclusive, kind, and loving. (In fact, the Brony movement now includes adults of any gender who love the show. I’ve even met little kids who call themselves Bronies. It’s come to mean, in some contexts, anyone who loves the show.) It’s not much different, honestly, than adult Star Wars fans who love to collect Star Wars toys or watch the cartoon Rebels. Now, imagine you have an acquaintance or a relative who is a Brony. He’s named Brock, he’s twenty-six, and he has felt socially isolated for a long time—but he’s really found joy in the show and acceptance in the Brony community. Brock has a picture of Rainbow Dash on his wallet, and whenever you walk by the produce section, he says something about Applejack. He has a little purple dragon on the dash of his car. Brock is not opposed to spiritual things, but he doesn’t perk up when you talk about them, either. Most of his friends are online, and you know he’s longing for real community here in your hometown. You really want to talk to him about Jesus. 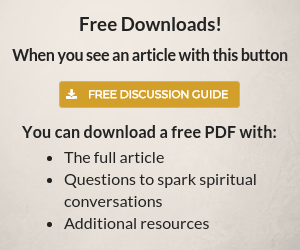 share Brock’s good news about Jesus with him. The first step, stopping what you’re doing, is pretty easy. You just need to spend a little time thinking about Brock. You care about the guy, so it’s not a big deal to set aside ten minutes or half an hour to just focus on what you know about him. The second step, looking at Brock, reveals you already see a pretty easy way to talk about the good news with the guy. He is longing for deeper connections in community, and that’s absolutely part of the good news. God didn’t make people to be alone, and entering the community of faith is described as being adopted into a family. There’s a lot here Brock will love. You could just sit down with him and walk through a “generic” gospel presentation. You could tell him how you want to go to heaven because your knees hurt, and then throw jargon at him and quote from the King James Bible as you explain God loves Brock; we’re all broken; God wants to be in relationship with human beings; Jesus died and rose again so Brock could be with him. Something like that. I believe the Holy Spirit would honor that, and although you weren’t doing much translation (you are doing some! You used Brock’s name. You explained the Bible verses and jargon along the way), God would speak to his heart. You could start with the need Brock has, just like Peter and John did with the crippled beggar. You could talk about how God brings us into community and family; how that has worked for you—the rich relationships you have at church, or with other believers—and how you’re inviting him into that community. Again, of course, you would get to Jesus being God, sin and forgiveness and resurrection, but using Brock’s needs as the starting point. God could speak to Brock in that, and the conversation would be more engaging, more memorable, less awkward, and less about you being the “teacher” and more about you coming alongside him as a friend. I lived in Asia for several years, and I vividly remember returning to the States to see an American who had gotten a Chinese character tattooed on his arm. “It’s the character for love,” he said. But it wasn’t. It was the character for water. Maybe he loved water . . . but I suspect he didn’t know enough Chinese to realize the translation was incorrect. If you want to translate something, you need to speak at least two languages. So, if we want to get truly involved in translating the good news into Brock’s language, we should get to know the language, jargon, culture, and interests of his community, the Bronies, so we can more fluently translate our message into Brony language. Don’t worry. I’m not about to spend an entire chapter teaching you all about Bronies so you can share Christ with them. What I did, though, was spend a little time talking to a few Bronies and looking at a website called whatisabrony.com. Why? To get to know their culture and what matters to them so I could figure out how the gospel intersects with the Brony world. Brock, human beings are like Discord . . . we’ve betrayed God. God wants us to be his friends, and, like Twilight Sparkle, he’s willing to save us from evil like Tirek so we can be together in Equestria. None of us perfectly follow the elements of Harmony—we have been dishonest, disloyal, or unkind. But the power of God’s friendship was so strong he sent Jesus. Just like Twilight Sparkle came on behalf of Celestia, and she gave up all her magic to save the ponies . . . Jesus also gave up his power—and even his life!—to save us. He did this so we could be in community with God and each other, and just like Twilight Sparkle got her magic back, Jesus came back to life and showed he had power over everything . . . even the evils of disharmony and disloyalty and creatures like Tirek. And even though you have been fighting God, like Discord fought the ponies, you can be brought into real friendship with him . . . because God’s friendship is magic. Like Discord, you have to apologize and admit you’ve been a terrible friend. But God is loyal, honest, kind, and generous, and he brings joy. He is, in fact, the greatest source of harmony in the universe. If I did my job right, that previous paragraph should be almost incomprehensible to you unless you’re a Brony. 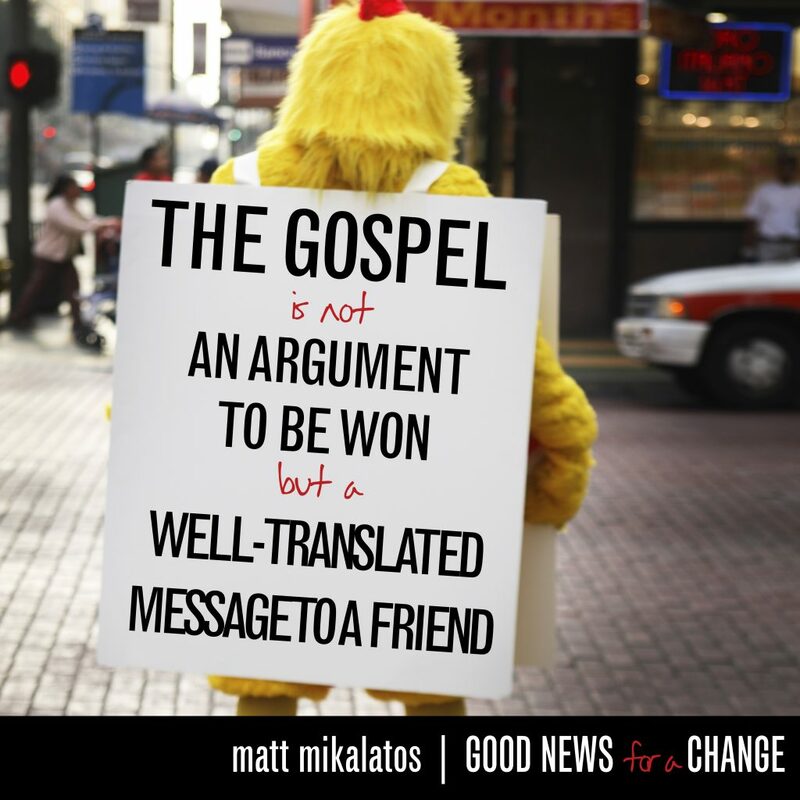 Because the good news of Jesus (which is in that paragraph, I promise) wasn’t translated for you. But a Brony should be able to not only hear the good news in this but immediately latch onto the meaning without much explanation on my part. It’s possible I’ve missed some nuances here, because I’m not “fluent” in Brony. But with a little work on my end, I can participate more deeply with God in sharing the good news, and I can shoulder the more difficult and confusing parts of communication rather than expecting Brock to do so. I can’t keep myself from sharing this, too: Twilight Sparkle, after she saves all the ponies, tells them she realizes her mission is to “spread the magic of friendship across Equestria.” Which is a pretty easy way to explain the great commission to Brock, should he choose to come into the community of friendship with the great and loving God. I thought I was going to hate this article, but I love it!! I love how you were able to take someone’s personal interest and use it to lead them to Jesus!! Great job!! Great illustration! !